I’m a professor of history at Laurentian University: I teach and research in English and European history as well as writing on pop culture and history topics. I have a Ph.D. and an M.A. in History from the University of Toronto. I took my B.A. in European History at Purdue University. Fan Phenomena: Game of Thrones went on sale in North America in early June, 2017. Edited by Kavita Mudan Finn (who also contributed to Game of Thrones Versus History) and published by Intellect Press, this collection focuses the fan reactions to Game of Thrones. From cosplay to fan art and fanfiction, this collection showcases the ways in which fans have made Martin’s world their own. It’s a thoughtful collection that contains a lot of criticism from the fans as well as showcasing critical perspectives of fan studies. My chapter, “Unbowed, Unbent, Unaccepted: Disputing Women’s Roles in Game of Thrones” examines how fan comments, essays and fiction have challenged the author, the show and mainstream culture on the women of the show. It was a fabulous opportunity to move beyond the straight history comparisons I’m used to writing to something that explored how fans use and react to the show’s story along with perceptions of history and agency. Read my piece on science fiction as a historical genre that was part of a special issue of Rethinking History has been reprinted alongside its peers in September 2016 as Rethinking Historical Genres in the Twenty-First Century. 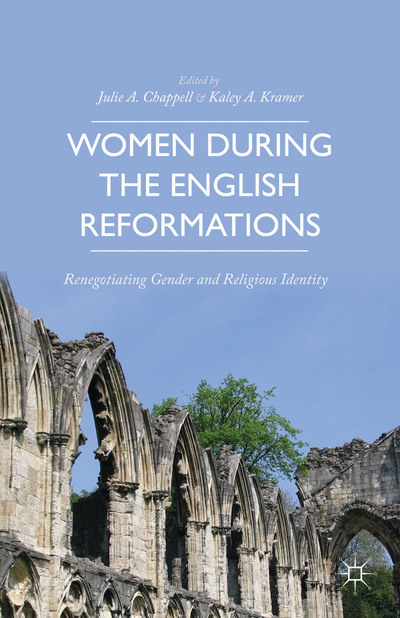 My chapter on Margaret Pole, “‘Rather an Strong and Constant Man’: Margaret Pole and the Problem of Women’s Independence” in Women During the English Reformations: Renegotiating Gender and Religious Identity edited by Julie A. Chappell and Kaley A. Kramer (Palgrave, 2014). 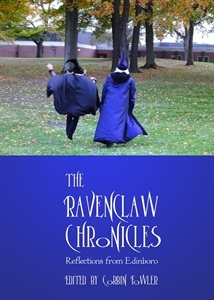 My keynote address from the 2012 Ravenclaw Academic Conference, is in print as “The World Hidden in Muggle History: Witches, Wizards, and the Historical Clergy,” in The Ravenclaw Chronicles edited by Potterfest organizer, Dr. Corbin Fowler (Cambridge Scholars Press, 2014). “‘Part of the Rebel Alliance and a Traitor’: Women in War and Resistance” (with Nancy R. Reagin) and “Teen Queen: Padmé Amidala and the Power of Royal Women” in Star Wars and History edited by Nancy R. Reagin and Janice Liedl (Wiley, 2012). “‘Magic is Might’: How the Wizarding Government Gained Its Power” and “Witches vs. Women: What Muggles Could Learn from Wizarding History” in Harry Potter and History (Wiley, 2011). “Carlisle Cullen and the Witch Hunts of Puritan London” in Twilight and History (Wiley, 2010). Read The New Twihards at Inside Higher Ed about our volume & Twilight and Philosophy. All of these essays look interesting and fabulous! What CK said — wow! I hope you read this! I’m an aspiring historian, finishing up my undergrad and beginning to prepare for graduate school, and I was wondering if you had any advice for me on how to get into “pop culture” history. That’s, ultimately, where I’d like to be, but it’s hard to find schools with professors that could work on such a discipline with me. It’s good to hear from an eager student. First off, good luck with your graduate school hunt. I always start by warning people that jobs are few in history these days. It’s tougher than ever! That said, grad school offers a chance to build skills such as communication, archival skills and more – these can be applied in public history venues or corporate positions as well as in academic work. You’ll not often find anyone who’s teaching graduate courses or supervising topics in “Pop Culture Topic & History” but you can find scholars who work with popular culture materials and methods or who are open to crossovers from their mainstream fields. Look for people who are publishing on such topics or in journals such as the journal of popular culture. Some scholars see popular culture work as a waste of time – they want their students to concentrate on the dissertation and academically admired publications only! Every historian needs to have a scholarly base from which they operate. That might be a good place to start. Are you interested in children’s literature or youth music as popular culture topics to study? Maybe the work of Arthur Conan Doyle or modern medievalism? Do you love the eighteenth century or thrill to the Russian Revolution as your topic of study? I’m not sure where you’re located geographically or what types of history you might feel most familiar with (medieval or modern? North American/ANZAC/European?) so I can’t advise particular programs but I have known people who’ve found good supervision in popular culture history at places such as York University in Ontario while Bowling Green State University has a well-respected Center for Popular Culture Studies which is interdisciplinary in nature. Feel free to send me an email at jliedl.ca@gmail.com if you want to talk more about the subject off the blog!